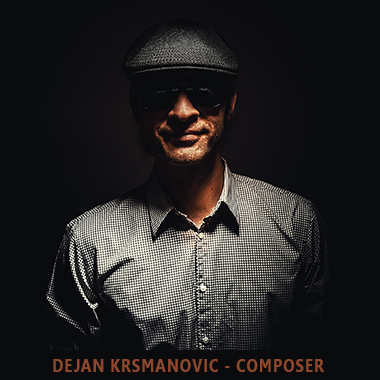 Dejan Krsmanovic is a composer and producer from Serbia. A talented guitar player since he was eight, he played his first concert in front of 700 people at the age of ten. Dejan composed and produced radio and TV commercials for more than 15 years developing his strong production skills. He released his first album "You Know What? !" in 2012, a Balkan style of Jazz music, thrilled melodies, rhythms, Serbian accordion, violins, basses, and guitar. A popular and prestigious artist, Dejan can compose for any of your music needs.